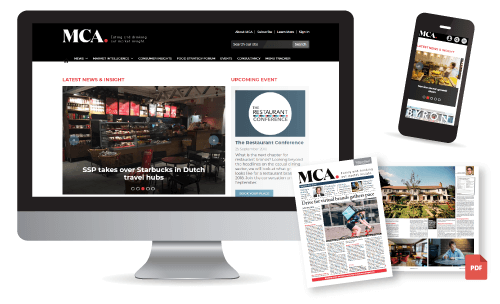 The MCA and HIM Food To Go Market Report 2019 provides a comprehensive overview of the state of the sector across the Eating Out and Grocery Retail sectors, its potential for continued success and the evolving needs of shoppers and consumers. Operators, retailers and supplier, this report will give you critical analysis that will help inform your business with strategic decisions surrounding NPD, key channels for investment and product placement, as well as helping you demonstrate a key understanding of the market place. Market analysis– What is the value of the market? How is the market evolving? What growth is forecasted for 2019? What is driving these changes? Competitive landscape– Top 10 players in the FTG market and how these are growing in market share. Outlet counts for leading players across several FTG sectors including Coffee Shops and Supermarkets. Consumer insight– How are consumer trends changing? Purchase frequency? Most important reasons for purchasing? Average spend? Growth Opportunities - What are the growth opportunities for the Foodservice and Grocery Retail sectors? How can retailers and operators maximise these and stay relevant in 2019 and beyond? Future outlook– Forecasting the development of the sector over the next 3 years, including a detailed look at growth drivers and key trends. Identify the Food To Go channels that are outperforming the market. Featuring detailed profiles of leading food-to-go brands and comprehensive analysis of the responses from our bespoke food-to-go consumer survey, the MCA food-to-go market report 2019 helps UK operators and their suppliers identify opportunities in the market and stay relevant in the face of economic pressures and evolving consumer demands.